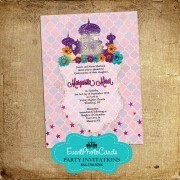 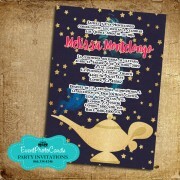 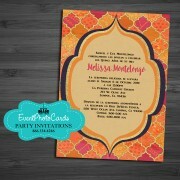 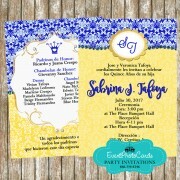 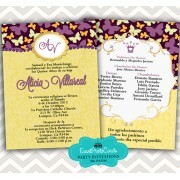 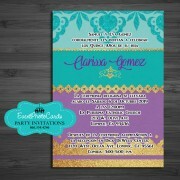 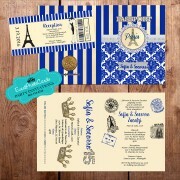 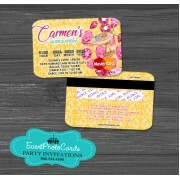 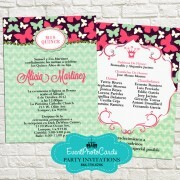 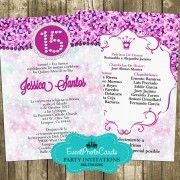 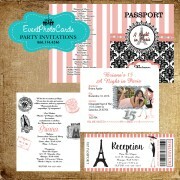 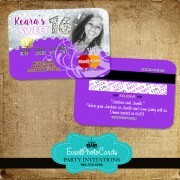 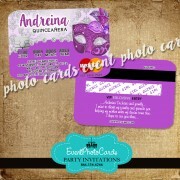 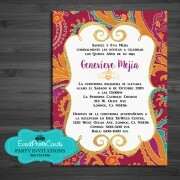 Size 2.5x6.25 inches printed on Cardstock Matte 100lb Paper Includes envelopes Colors and Desi.. 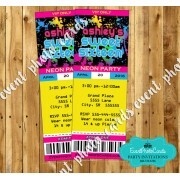 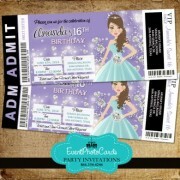 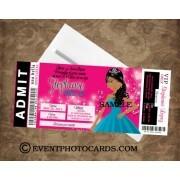 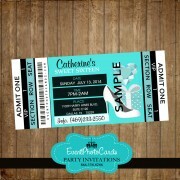 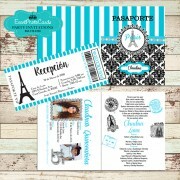 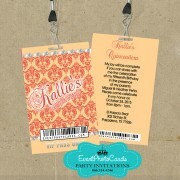 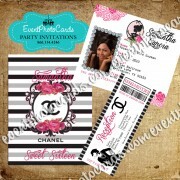 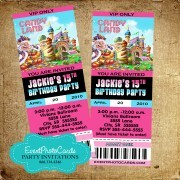 Size 3.25x8 inches printed on Cardstock Matte 100lb Paper PRINTED on front and back of ticket inv.. 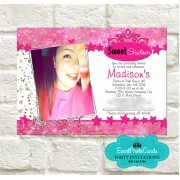 Send us your wording, and we will send you a proof, will not print until approval. 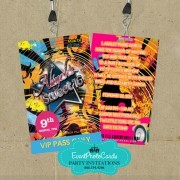 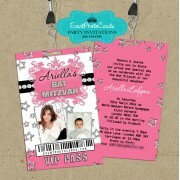 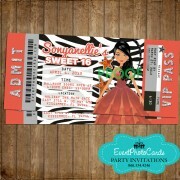 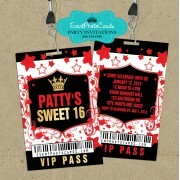 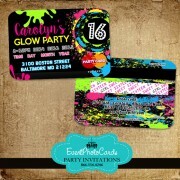 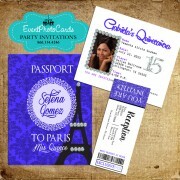 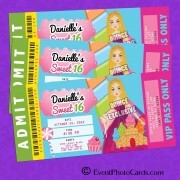 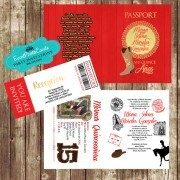 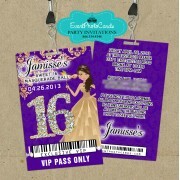 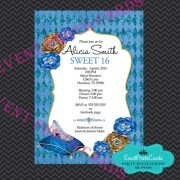 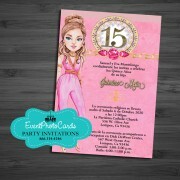 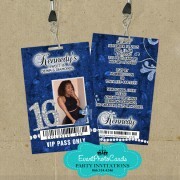 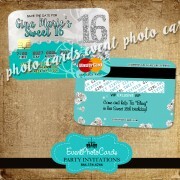 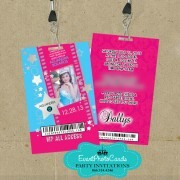 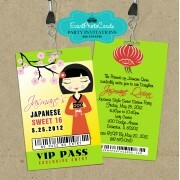 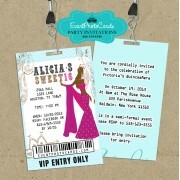 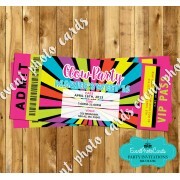 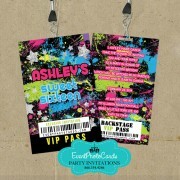 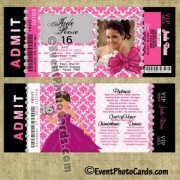 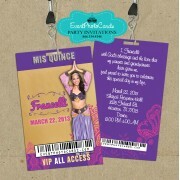 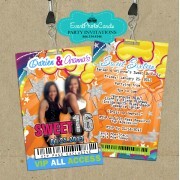 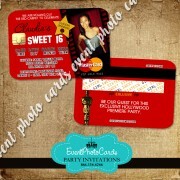 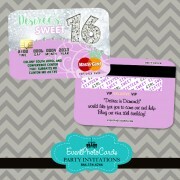 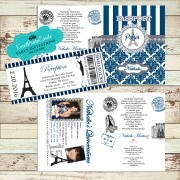 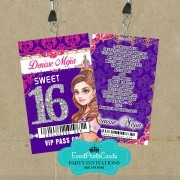 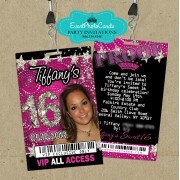 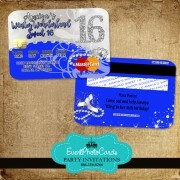 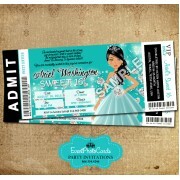 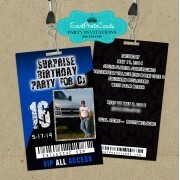 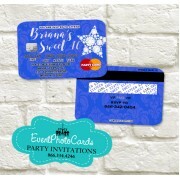 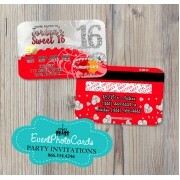 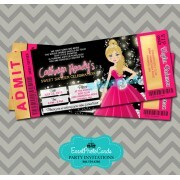 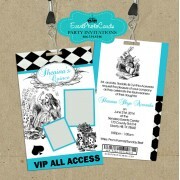 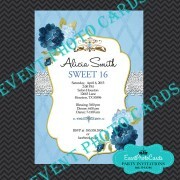 S..
All Access Backstage Pass Sweet Sixteen Invitation features dance club party scence. 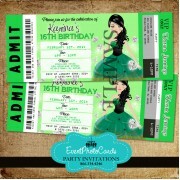 Pass these out ..